Ramen bloggers are connected, especially in Japan. Most of the best ramen blogs know each other and regularly go out to crush ramen bowls together. Still, each enthusiast has his or her own style to watch for. Here we offer our top eight for 2015. In a word, Enjoy Ramen is simple. The descriptions of (mostly) Tokyo shops and their ramen bowls aren't overly complex, and the pictures and layout get to the point, providing an easy understanding of each joint that makes you want to go try a bowl for yourself. An informative ramen chronicle for the Osaka area, providing a New Yorker’s perspective with Japanese text translation. This blog includes useful information aside from ramen shop reviews, such as ramen terms for the novice noodle slurper. This text-heavy chronicle has, sadly, not been updated since 2011. 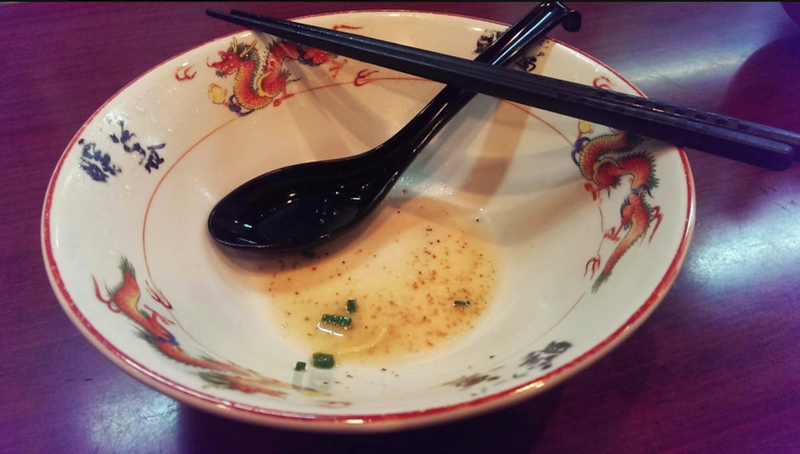 However, the archives contain a ton of funny, detailed posts that’ll give any reader a unique perspective on the Japan ramen scene. And yes, the site was created by a guy named Nate. Not for readers afraid of dirty words. A picture-focused Tumblr blog that reviews ramen shops around Japan, big and small. Each post tends to be textually short and to the point, with mouth-watering pictures—a quick and easy read. This blog is penned by Keizo Shimamoto, a ramen chef and enthusiast who works in both the U.S. and Japan. In his efforts to spread ramen passion in the U.S., he’s been on Conan to teach the ginger-haired talkshow host—and the American masses—how to properly slurp a bowl of ramen. Oh, and he invented the Ramen Burger. The blog chronicles his ramen-related adventures and shares his various projects, including a ramen shop slated for Yokohama. Instant ramen from around the world rated in a highly comprehensive guide. In addition to the author’s well-defined thoughts on each brand, the finished product is photographed in an artistic bowl, often with extra ingredients added to make each pack into a full-on meal. Making generous use of YouTube clips and pictures, this blog keeps ramen lovers updated on ramen news in both Japan and the U.S. through a compilation of articles and media pertaining to everything ramen-related. Perhaps one of the most passionate English-language ramen blogs in Japan, Ramen Adventures is run by the same guy behind Yummy Japan's “Brian's Ramen Adventures" on YouTube. The blog entices with stellar pictures and informative, engaging text on each bowl, the shop, and just how the author got to that particular spot. The titular Brian has released a book on the best 50 ramen shops in Japan as well as having been filmed for various TV segments. I’m a Tokyo-raised actress and dancer studying anthropology and archaeology at the University of British Columbia. My not-so-secret identity is a black-belt Bujinkan ninja, and I also love the great outdoors.